Animated feature based on the line of toys manufactured by Lego following six ninjas as they strive to protect their home city, Ninjago. 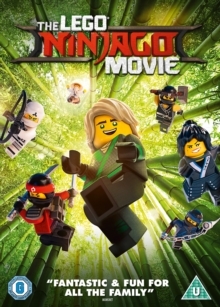 Ninjas Kai (voice of Michael Peña), Cole (Fred Armisen), Nya (Abbi Jacobson), Jay (Kumail Nanjiani), Zane (Zach Woods) and Lloyd (Dave Franco), trained by Master Wu (Jackie Chan), are forced into action to repel the daily attacks of the evil Lord Garmadon (Justin Theroux), who also happens to be Lloyd's dad. A recent battle between the forces of good and evil leads Lloyd to call upon the services of Master Wu's ultimate weapon, a cat named Meowthra that proceeds to destroy the city. To stop it, the ninjas embark on a quest to the Forest of Dangers, the Canyon of Death, and the Temple of Fragile Foundations in search of the ultimate-ultimate weapon. Can they succeed in defeating Meowthra and Lord Garmadon once and for all?